Image supplied by Arize Media. Pictured: Buyers' agent Greville Pabst. The Block's buyers' agent Greville Pabst is a busy man. 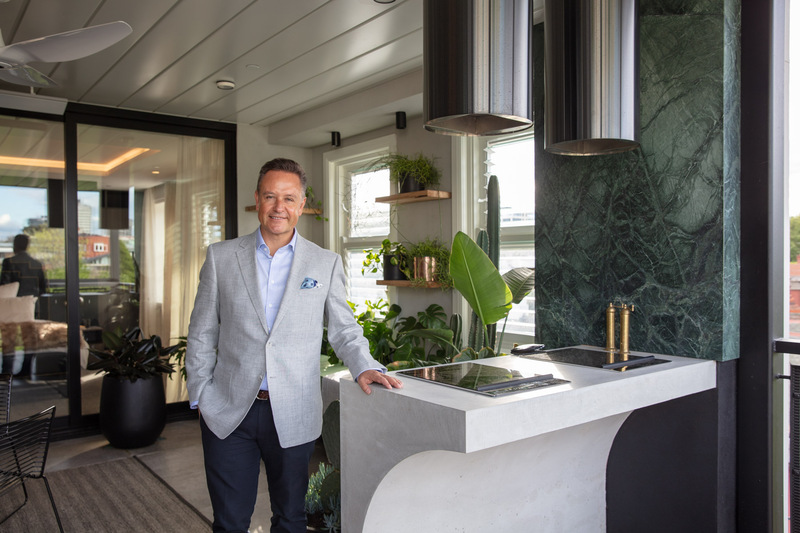 Between running a company, commentating on the property market and juggling appearances on television as a go-to property expert, Greville Pabst has got a lot to say about the housing market. The Executive Chairman of WBP Group (one of Australia’s leading independent property advisory and valuations firms) spoke to WILLIAMS MEDIA about his career, why the role of buyers' agents is so important, and where he sees Australia's housing market heading. How did you get your start in the real estate industry? Real estate is basically my first job. I did uni and came out with a property valuation qualification then I was a property valuer with one of the major banks. I always wanted to go out and do my own thing, and then in the early 90s, I set up WBP. Pictured: Buyers' agent Greville Pabst. Image supplied by Arize Media. There was always a bit of a gap in the market for someone to do things differently and be a bit more innovative and use technology. We’ve now built a national brand. We’ve gone from a couple of people in the early 90s to now about 150 staff around the country. I’ve always worked in Melbourne but we have offices right around the country. Do you see more buyers' agents today than when you started? I think there are certainly more buyers’ agents coming into the market but it’s still a very young industry. If we compare it to overseas, the US or Europe, really nobody buys a property in New York without engaging a buyer’s agent. In Australia, I think it’s still really very much a cottage industry. There are lots of single operators and estate agents that are deciding to go out and be buyer’s agents, so it is starting to emerge. There is more representation at auctions, and I think that’s really important because quite often real estate is the biggest investment somebody will make. I’m always surprised that most people go and make their biggest investment without getting independent advice. If you buy a car, you might get the RACV or a mechanic to check it out, but with property, it seems Australians have a tendency to think that because they live in a house, they’re an expert in property. How have you seen the Melbourne real estate industry change in that time? 25 years ago there was no such thing as an inner-city apartment. It was a doughnut city Melbourne, people lived in the suburbs, so I think that the proliferation of inner-city living has been the biggest change. Lifestyle now is such a key attribute when buying property. I think more and more people will engage professionals to help them when they buy a property. Property was always a bit of an art but I think through data it’s going to become more of a science. We are geo-coding every address in Australia so we can actually determine how far is this property from a railway station or a school or a village, and then we can track the performance of those assets over a period of time. With geocoding we can actually track properties against others with a different orientation, so we can show clients properties with certain attributes and orientation and see how it has performed over the past 15 or 20 years, compared to properties with different orientations and attributes. We do over 100,000 property valuations a year, so we’re collecting a lot of data and can use that to help our clients make better-informed decisions. How did you come to be involved with The Block? I’ve been at this now for almost 30 years, as a valuer, real estate agent, buyer’s agent and a property commentator. The producers of The Block identified me as someone who had a bit of a profile in Melbourne in the property space. I think they were looking for someone with that independence, somebody that wasn’t selling their own stock. We’re really in the market of education and independent advice, I don’t have a product to sell. It’s simple advice. Do you think shows like The Block have increased the real estate literacy of viewers, to understand the value of their homes and the auction market? I definitely think that’s so. I think that’s really part of what my role was, to provide that education to the consumer market. It wasn’t scripted. I was pretty much given free license to say how it was. Do you think The Block has been educational for viewers, both in terms of design and financials? The Block is definitely educational. One of the biggest things it teaches us is that when renovating a house, it is imperative that you stick to the budget. The planning that you do at the outset is critical to avoid overcapitalising and financial stress. The Block always brings to the forefront current design trends – one year we saw lots of rose gold tapware and another year we saw floral wallpaper and a millennial pink basin.